Welcome to ItalianGenealogy.com, the leading resource for those who undertake research into their Italian Genealogy. At ItalianGenealogy.com your research is free, you can find answers regarding Italian Genealogy and ask your questions in order to help you along your search. Our philosophy is to provide the very best resources to assist genealogists to achieve their goal of mapping their Italian family history and allowing them to help each other with their research as well. If this is your first visit, ensure you register. Registration is free and takes only a few minutes. The great benefit of being a registered user is that you can post and participate in discussions with registered members from all over the world. 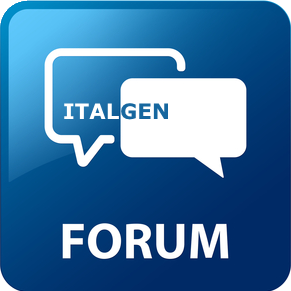 To start viewing messages from other users, select Forum from the top menu. Also be sure to check out the FAQ. Enjoy ItalianGenealogy.com and good luck on your research into your Italian Genealogy. Finding your Italian roots can be a wonderful journey. We are pleased to help you along.